Puka Nacua, brother of an ex-Cougar and current Ute, is a highly ranked receiver. (Chris Detrick | The Salt Lake Tribune) Orem's Puka Nacua poses for a portrait Friday, December 15, 2017. 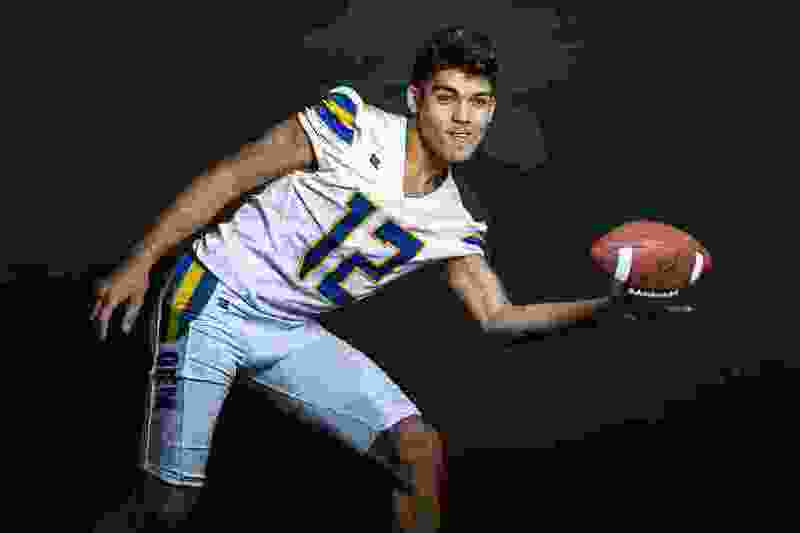 Orem High School receiver Puka Nacua, one of the state’s top college football prospects in the class of 2019, has committed to USC. The brother of former BYU defensive back Kai Nacua and current Utah receiver Samson Nacua announced his choice Monday after attending the Trojans’ elite youth camp, 247Sports reported. Nacua was impressed by USC coach Clay Helton and offensive coordinator Tee Martin, according to the website. Helton “told me I’d be a big deal for them and I’d fit in,” Nacua said. Nacua led Orem to the Class 4A state championship last season, catching 87 passes for 1,692 yards and 24 touchdowns. East defensive tackle Siaki Ika is considered the top recruit in Utah. Nacua’s high school team will open the 2018 season Aug. 16, hosting 6A defending champion Bingham.